Jane Elliot, Tracy Quartermaine on General Hospital. 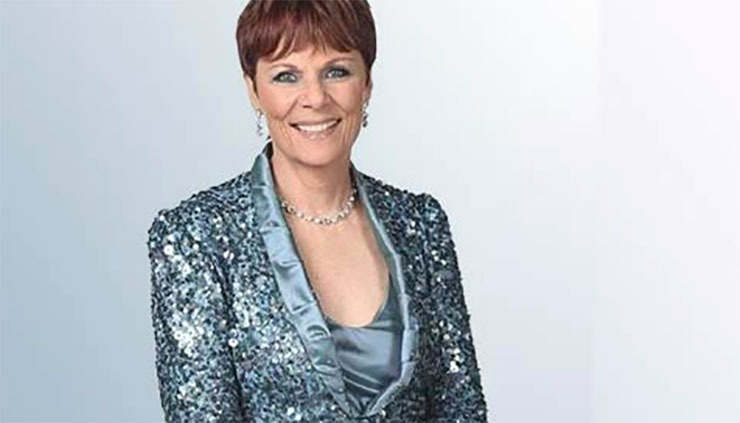 We know, dear Soap Cities readers, you’re going to miss both the incomparable Jane Elliot and her equally fabulous onscreen alter ego, Tracy Quartermaine on General Hosptial. Read about why she’s leaving the biz and what her next chapter holds. Elliot has been wowing audiences for 53 years, she pointed out to Michael Logan in this week’s print edition of TV Guide. Logan asked Elliot how her costars at GH took the news of her retirement. Some understood. Others wondered why, at this point in her career, when she’s so revered by fans and is “the big chicken” on the GH set, would Elliot consider leaving the biz. “A lot of actors can’t comprehend giving up acting, but I’m a different kind of animal. Pretending no longer appeals to me,” Elliot said. And what’s next for Elliot? Well, we’ll be watching and supporting her, as we know you will, Soap Cities readers and GH fans! Previous ArticleBREAKING NEWS: Anthony Geary Makes Surprise Return to Port Charles! Next Article B&B Romance Report Card: How the Love is Measuring Up–Vote in Our Poll! I for one am going to miss Tracy on General Hospital! No one could ever do the great job that she has done over the years. Great Job Tracy and hope you have a wonderful retirement. The Tracy we all know can make you hate her in one breathe and love in the next. Her character role keeps us in suspense and hopes that she will always do the right thing. We love ❤️ You Tracy and we are going to miss you. Good luck in wherever this venture may lead. Good point, Nanybass. Than you for reading and commenting!